Australia’s Most Trusted Home Builder (2016/2017), nationally franchised G.J.Gardner are a long-time client who came to us with a challenge. They were finding, as their network grew, that distribution of branded collateral took up value time and space in their head office. They also wanted to be able to maintain and control brand consistency throughout their franchise footprint so we developed a custom Ecommerce site for them and now distribute branded product direct from our warehouse to their Franchisees nationwide. There’s two big moments in home building, when the roof goes on and handover at settlement. 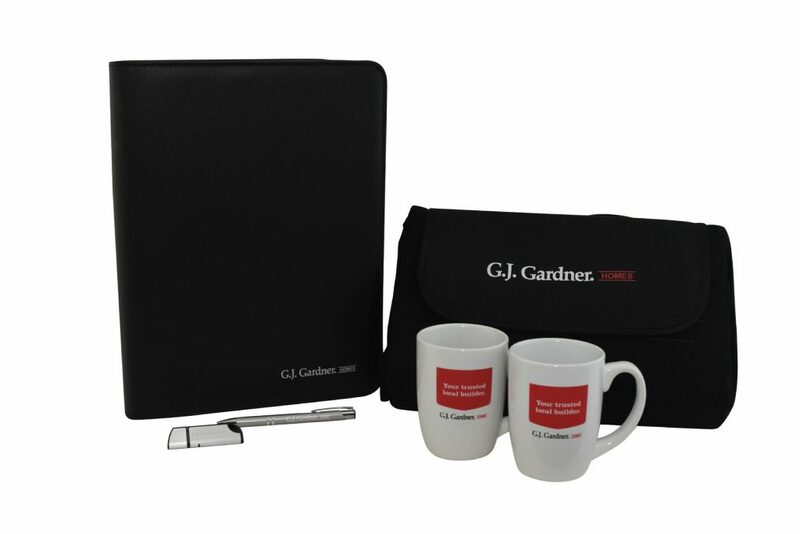 G.J.Gardner’s wanted to enhance the client experience at handover by gifting their client a quality Compendium (for the building documents), a USB (with their home plans on it), a quality ballpoint as well as a travel rug and two coffee mugs so they can relax and enjoy their new home. We also added a high end Cooler Bag so the client could take a break offsite, secure in the knowledge that their home was completed. Quality trades and good service are key to G.J.Gardner’s product delivery so recognising and rewarding the Tradesman that all work together to make a home come together on budget and on time is a critical part of their award winning success. 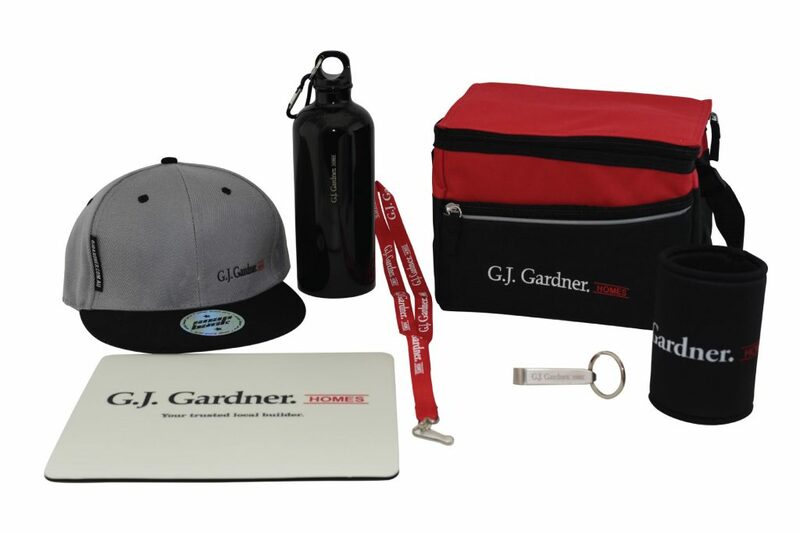 From the lifestyle cap and drink bottle to the bottle opener, can cooler and Cooler bag, we developed this pack to really resonate with their suppliers and they love it. 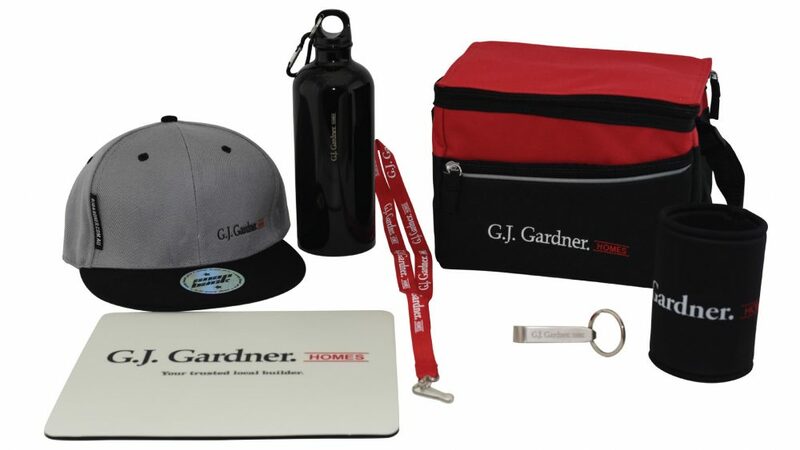 G.J.Gardner’s marketing team wanted a unique, affordable family friendly product that their franchisees could giveaway cheaply and that would appeal to all ages. 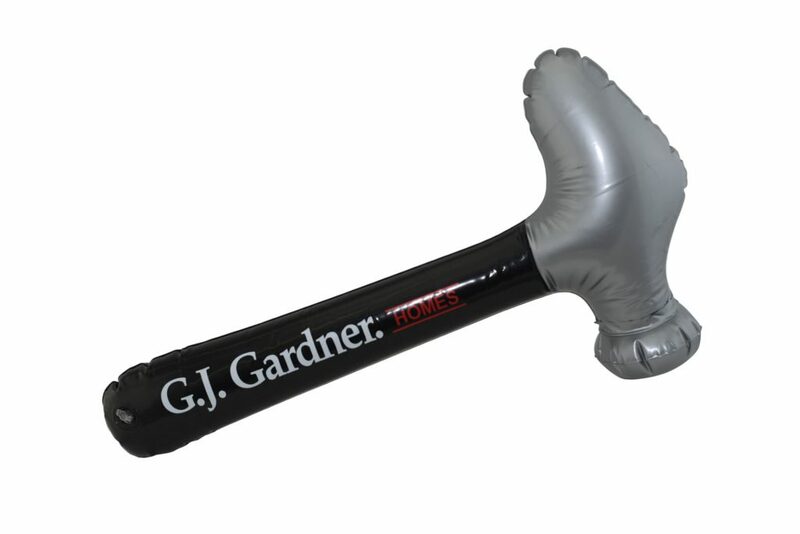 We designed this custom blow up hammer to reflect their industry in a fun way. We challenge you to not want to play with it!